Hi everyone, it is my privilege to tell you about one special little girl, sweet Lukah. Lukah was born October 19, 2017 and instantly increased the happiness level of our world. Her smiles are contagious and she is the most carefree soul. She has blessed so many people simply by being herself. Over the past month, Lukah has had many health struggles. 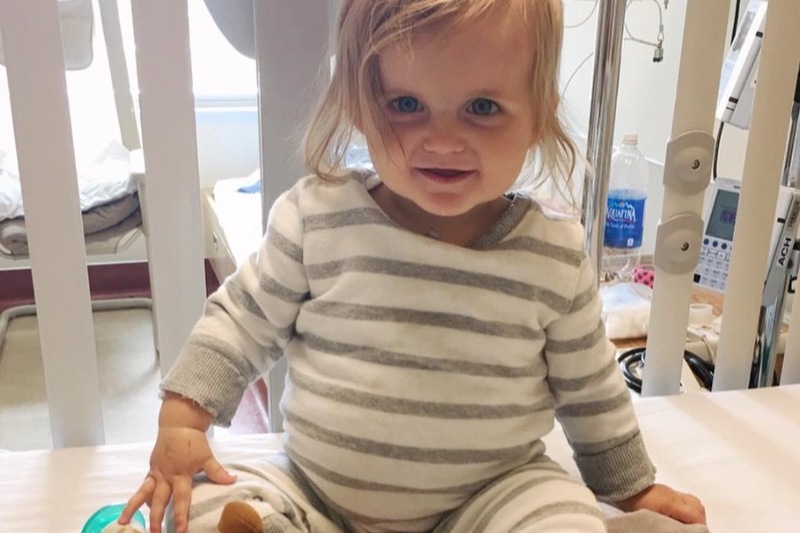 What started as a trip to the emergency room late one night due to unexpected blood in her diaper has resulted in the discovery of an alarmingly large tumour that is currently pressing up against her internal organs. 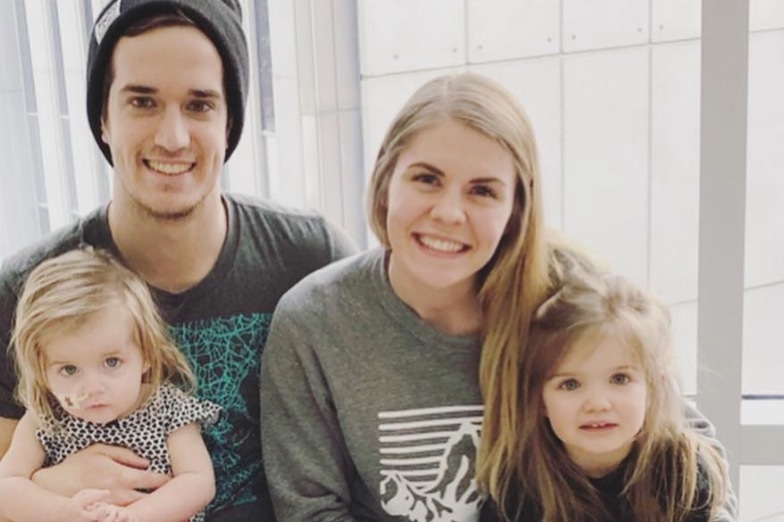 Lukah, her devoted parents, and her spunky older sister, B, have had their worlds rocked with this diagnosis. Due to the size of the tumour, Lukah will be having a surgery in the next week to have it removed. Though optimistic the removal of this tumour will result in many positive improvements in Lukah's health, the surgery and recovery will be extensive and tedious. Lukah is a strong girl, but her level of discomfort and overall decrease in mood and appetite recently are evidence of the daily struggle she faces until the tumour is safely removed. We are hoping that with the surgery, Lukah's blood levels will improve, she will regain her sunny disposition, and life will slowly return to normal for her family. The village of family and friends surrounding this family is an amazing one, no doubt. That has already been proven over the past month! Lukah's parents have frequently shared how humbled they have been by everything offered to them. 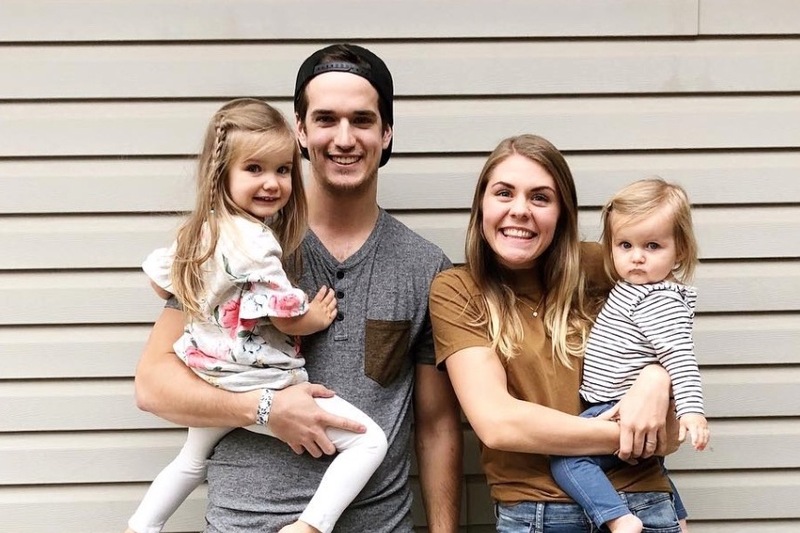 Lukah's family has been showered with love, support, and donations up to this point, and we all know they would be the last people to ask for financial assistance. 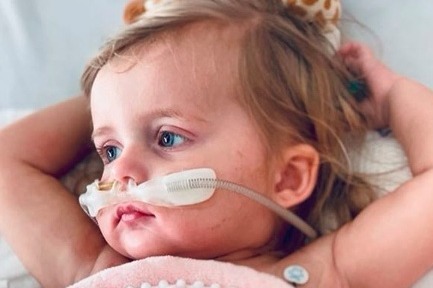 However, the family continues to need our encouragement and support - be it kind words, offers of babysitting for B, or financial donations - to ease the stresses they face currently and will face as Lukah recovers from her surgery. Please know that any and all help is so appreciated. Lu is one amazing little girl - please keep her in your thoughts in the upcoming days and weeks! 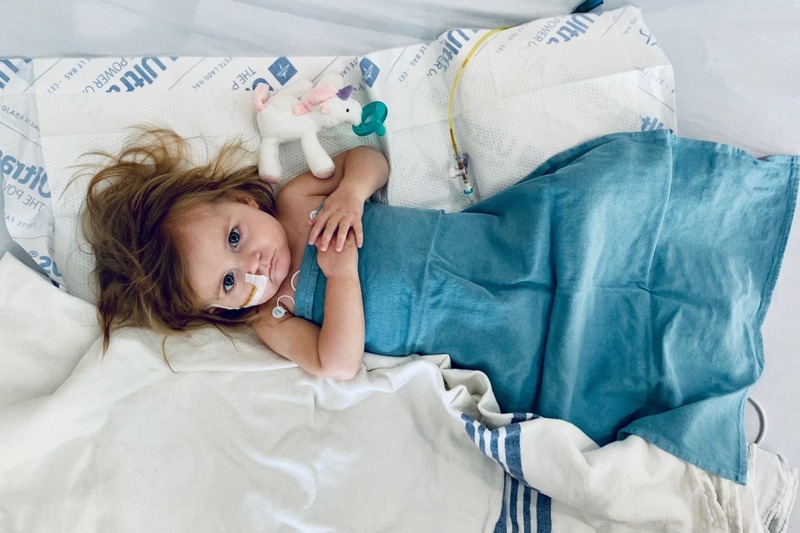 As many of you know, Lukah was re-admitted into the hospital this week due to a high fever. Doctors do not seem overly concerned that it is a sign of rejection or infection, but are erring on the side of caution by keeping her in the hospital until all test results are back. Please keep the family in your prayers as re-admission was a tough pill to swallow. As the founder of this fundraiser I admit to dropping the ball! I have not updated since Lukah's surgery - which makes it seem like that was the end all, be all. The past two months, however, have told another story. Following the multi-visceral transplant, Lukah has slowly progressed to where she is today. She has had minor setbacks - a virus and some minor rejection in her intestines. Big picture, though, shows a fierce girl who is adapting to her new normal like an all-star. The past two months have been difficult for the Mitchells though, as they now have to learn home-care for Lukah and how to prepare and change their lives for her before she moves home. Although this is all SO EXCITING and something we honestly did not expect for awhile there, the future can, at times, seem so unknown and daunting for Lukah's tribe. We follow her lead, taking it one step, one day, at a time. On a positive note, today, on Family Day nonetheless, Lukah got her first day pass to leave the hospital! She is no longer attached to IV's and therefore can spend 4-hour stretches with her family outside the hospital walls. That marks the first time in four months she has left the hospital. What a special thing to share on Family Day for Tanis, Dakota, Lukah and Berlynn. Although the future has a lot of challenges, moments like these make it all worth it. Thank you all for your continued prayers and support for the Mitchells. We follow Lukah's lead through it all - with a goofy smile on our faces just like her's! Yesterday at 3am, Lukah's parents got the call we had all been waiting for! A donor was found. Our gratitude towards the family who lost their sweet baby but found the positives in organ donation will never diminish. To that family, know how many lives you have changed through your choice! Lukah entered surgery at 4pm yesterday and has been recovering in the PICU since early this morning. Her nurses are amazed at how she is doing so far. Her parents will meet with surgeons later today to discuss the surgery in more detail. We continue to run out of words to express our pride in our little one. Thank you for your continued prayers as her recovery begins! This photo is pre-op. HOW PRECIOUS! Hi everyone. It is hard to believe how hard little Lu is fighting to survive. Her strength is unfathomable to those around her. The timing of this - though out of our control - is difficult for the Mitchell family. Lu's big sister turns three next week and this will be a difficult celebration without Lu there physically at the birthday party. They will also be having a unique Christmas experience with the family split up between Edmonton and Calgary. 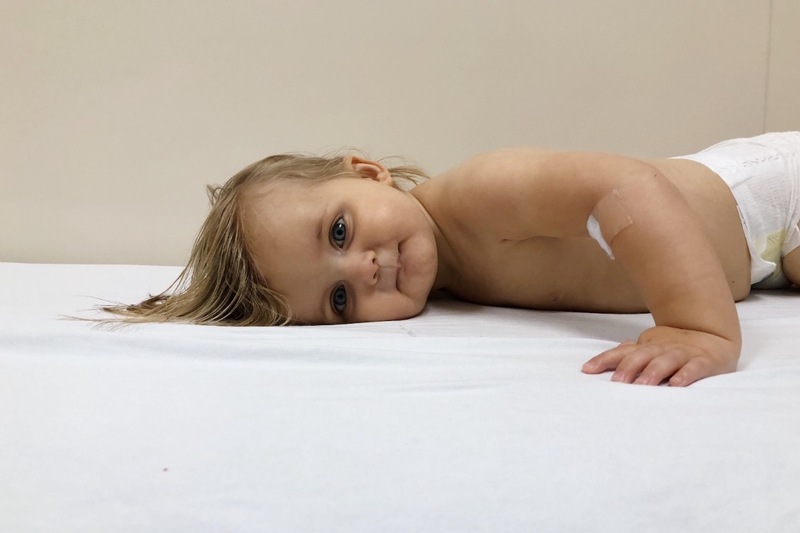 Lu continues to find ways to hold on, waiting patiently for a multi-visceral transplant. She continues to persevere through this rollercoaster; therefore, so do we. We find strength in watching her everyday. Please continue to pray for the Mitchells as the next few weeks will be hard on their hearts. Please pray for health, strength, and trust in the path Lukah is on. We are grateful for those who have stood behind Lukah on her journey, thank you for everything you have done.